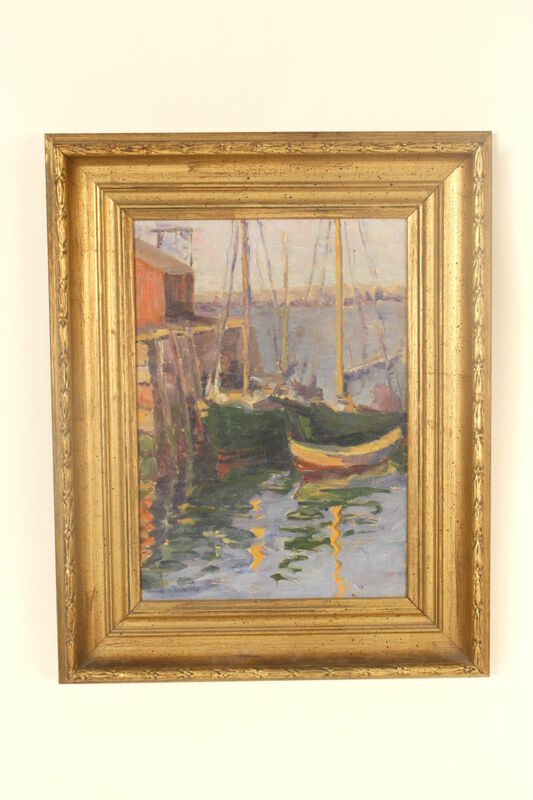 Colorful east coast harbor scene painting signed, B.S. Shepard, circa 1920. Oil on canvas. Frame size, height 20″ width 16″. Dimensions of painting, height 14″ width 10″.